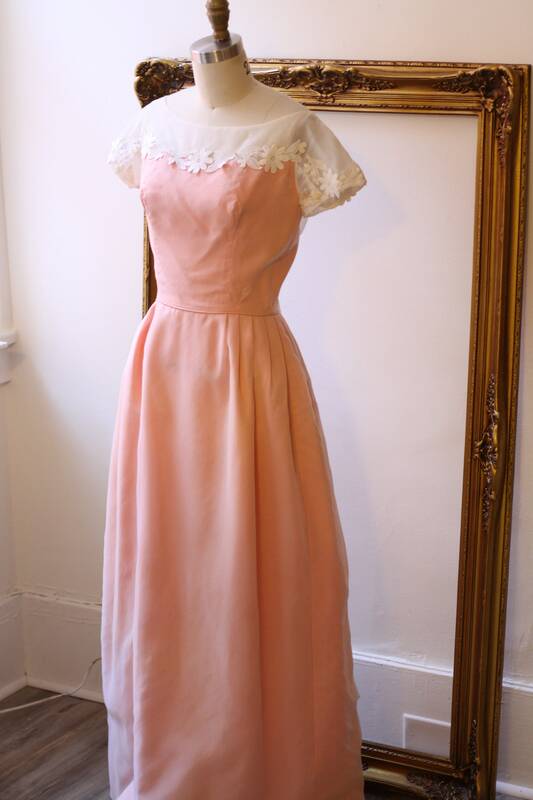 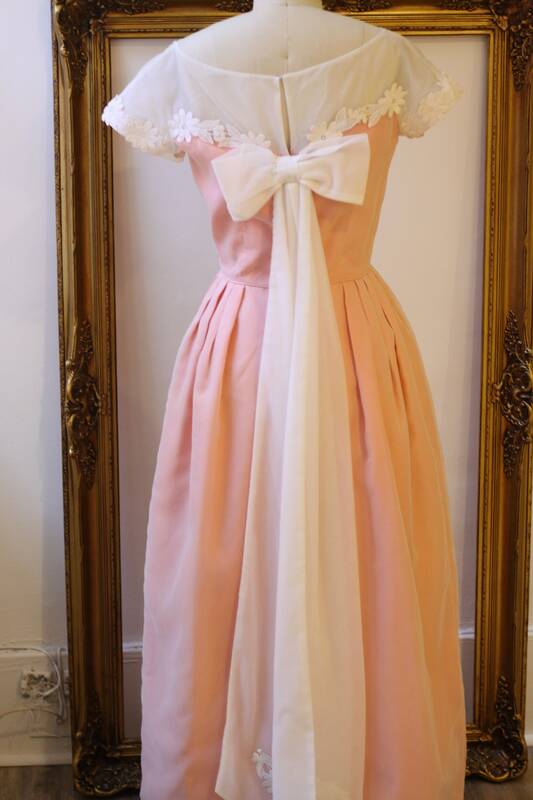 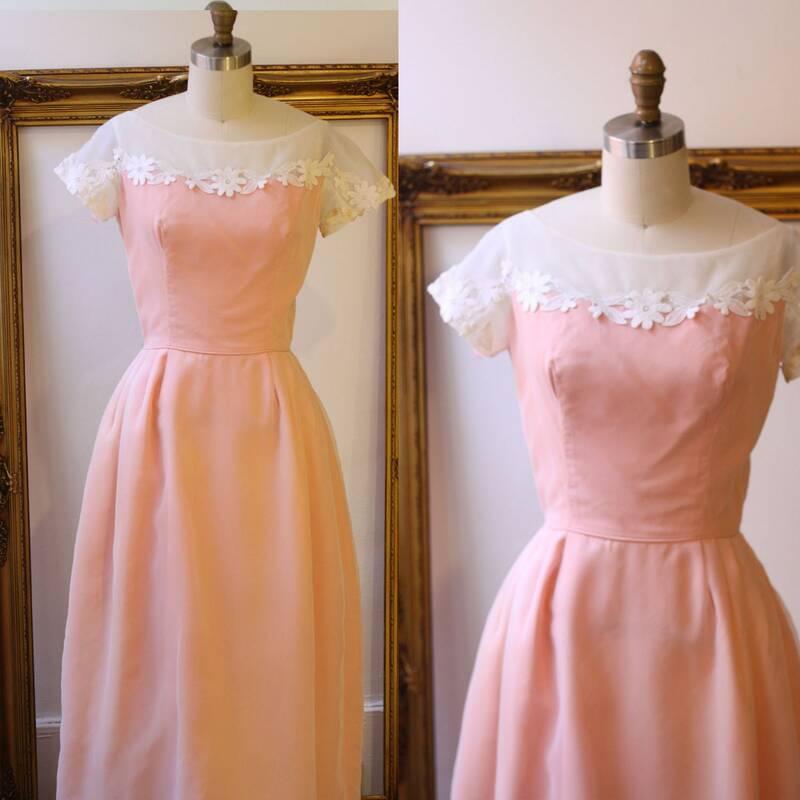 An amazing 1960s soft pink full length gown with white sheer top and sleeves. 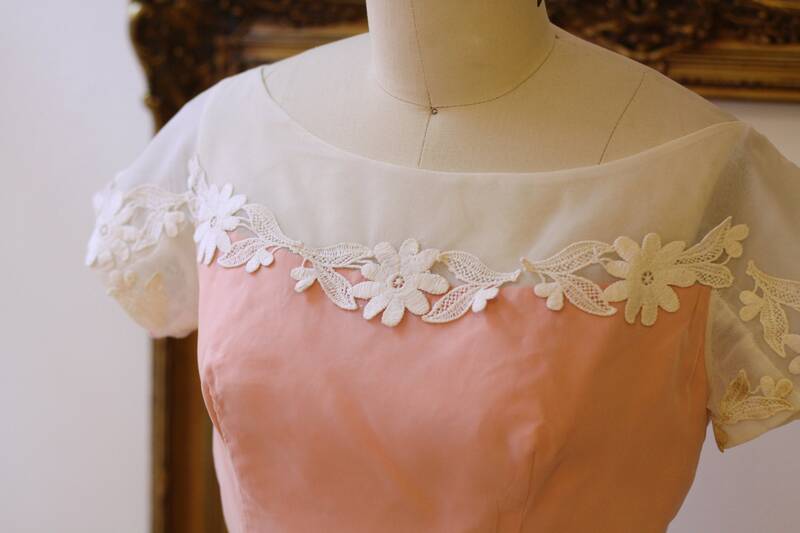 Amazing construction on the dress, including floral applique around the bust, sheer neckline, and a beautiful large fabric bow at the base of the back with the tails running all the way down the dress. 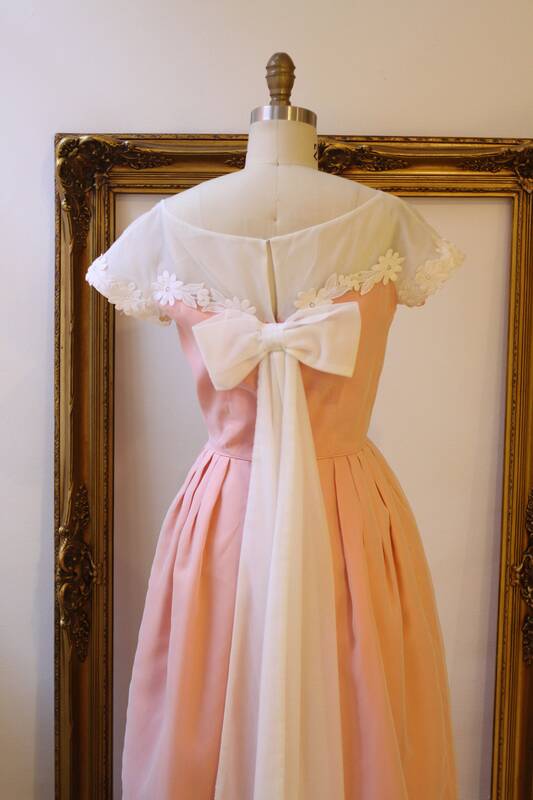 This would be absolutely stunning for a formal event. 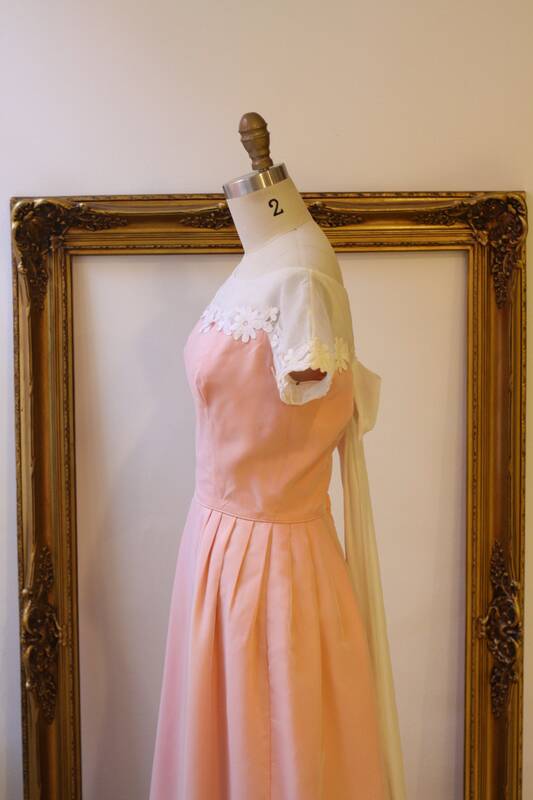 This dress is in good vintage condition. 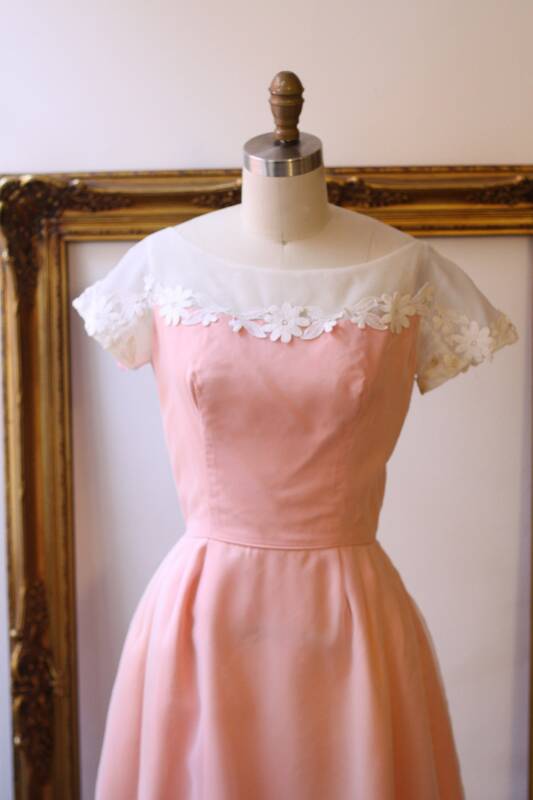 No flaws, stains, or tears.